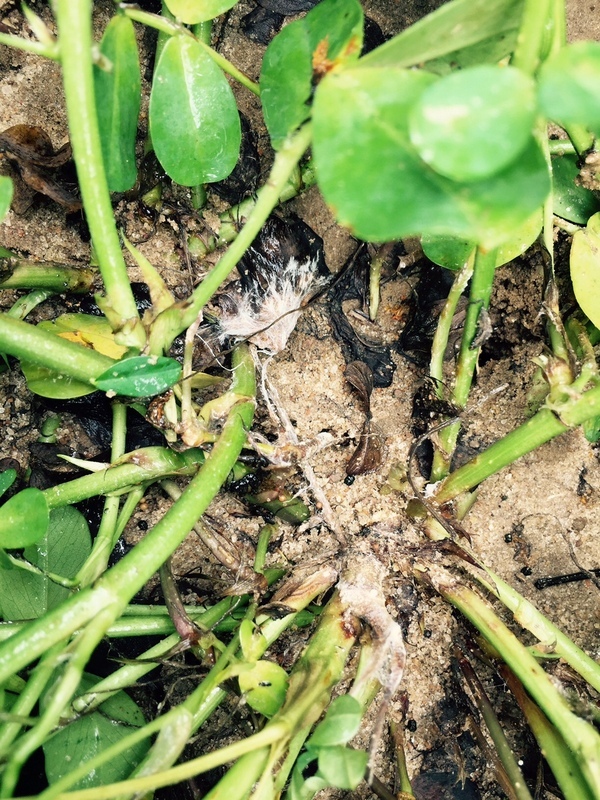 I think 2015 was definitely one of the worse peanut white mold (Sclerotium rolsfii) years in history. High heat and frequent cloudy rainy periods caused it to be worse than usual. It was definitely a year that premium white mold products paid off. Here are some comments from Dr. Bob Kemerait, UGA Extension Plant Pathologist, concerning white mold this year and what we can do. How do you know if your white mold program worked for you? Answer: If you look out in a field and see a number of white mold “hits” you are likely to be disappointed. However, if such “hits” are contained to a one, maybe two plants and do not extend in streaks down the field, then you can be confident that your program was engaged and fighting for you. Also, if finding active white mold is difficult, then you can also be confident that your program was working for you. Note, however, that managing underground white mold is especially difficult because of getting the fungicide to the target below the soil surface. Underground white mold is difficult to control, even under the best of circumstances. Control may be improved with timely irrigation or rainfall, or by spraying the crop at night.